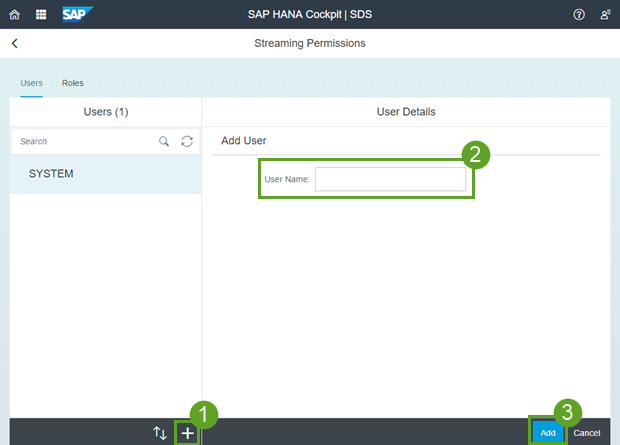 Permissions for smart data streaming use a separate system from HANA privileges, and as of SP 12 you can manage them using the HANA cockpit. 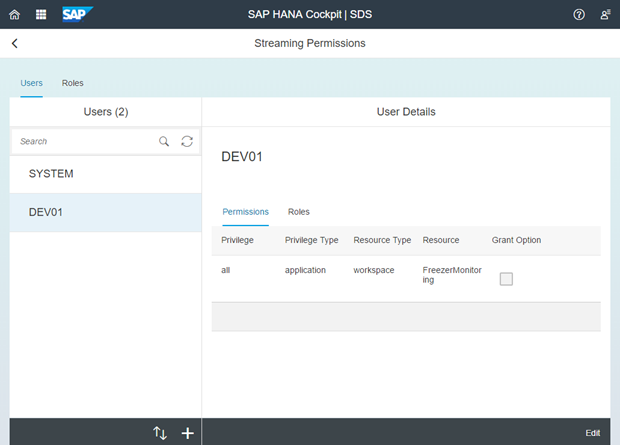 In this post, we’ll cover creating new users and assigning streaming permissions using the new cockpit interface in HANA 2.0. One important thing to remember when granting streaming permissions is that you’re granting them to a HANA user, so you need to create that user in the HANA system to actually use the permissions. You can perform these two tasks in either order. 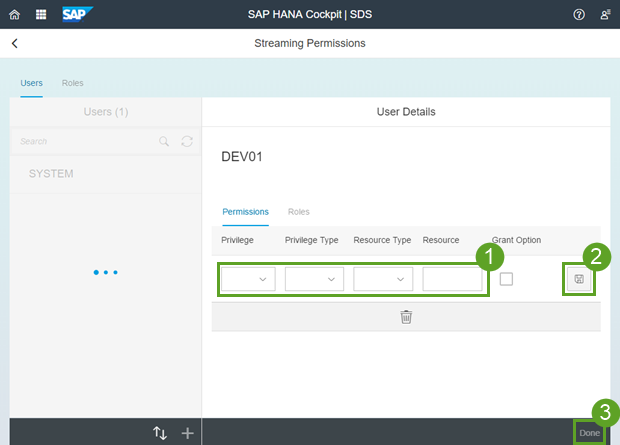 For example, if you grant streaming permissions to a user named DEV01 in cockpit but no HANA user exists with that name, there are no credentials for someone to log in as DEV01 and use the permissions. 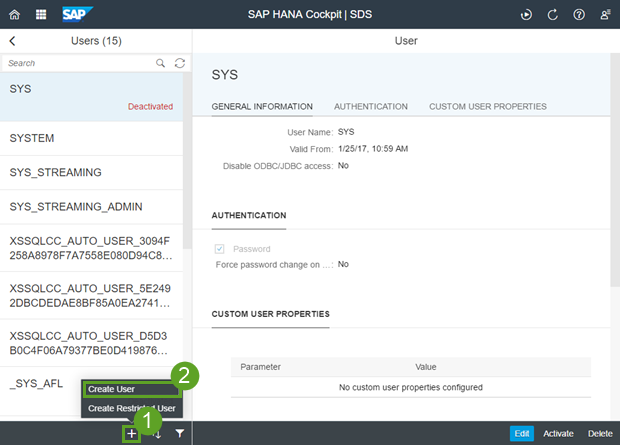 If you then create a HANA user named DEV01, the permissions you set earlier apply to that user. 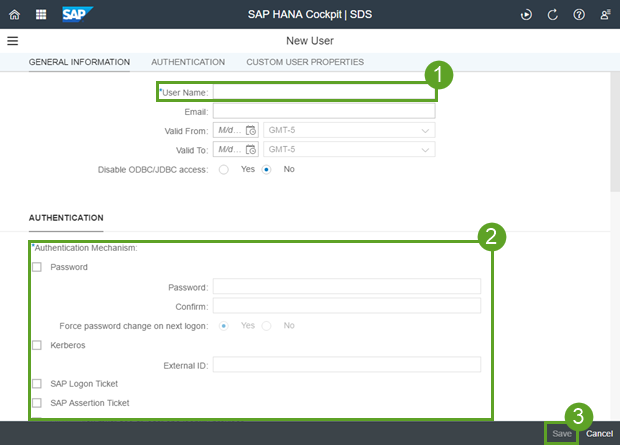 To create a new HANA user in cockpit, connect to your HANA system as a user with the USER ADMIN system privilege (for example, the SYSTEM user). On the Streaming Permissions page, you can see a list of HANA users that currently have streaming permissions set. 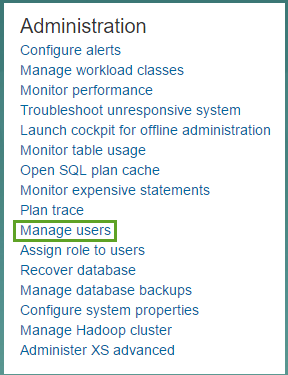 In a new installation, this will only be the SYSTEM user (SYS_STREAMING and SYS_STREAMING_ADMIN also have streaming permissions, but these can’t be modified and aren’t shown on this page).